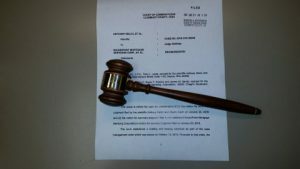 The Judges of the Clermont County Common Pleas Court will from time to time post in PDF format decisions that have value as precedent or are of interest to the general public. These postings will generally occur at the time the decision is rendered, and before there is any review on appeal of these decisions. Counsel and parties are responsible for researching any later rulings of the Twelfth District Court of Appeals and/or the Ohio Supreme Court that may affect the legal value of these opinions. Please note: The Google search function, activated by clicking on the magnifying glass icon in the upper right corner of this page, will allow you to search for keywords and phrases within these opinions. Counsel and the public are responsible for the accuracy and completeness of any search results they get. The Court is not responsible for any errors or problems with searches on this site. Judge Haddad-Decision on motion to certify class action, Civil Rule 23 tests, representation, Consumer Sales Practices Act, (November 29, 2011) 166 Ohio Misc. 2d 21, 2011-Ohio-6946. —Discovery, Motions to Compel, Protective Orders, etc.